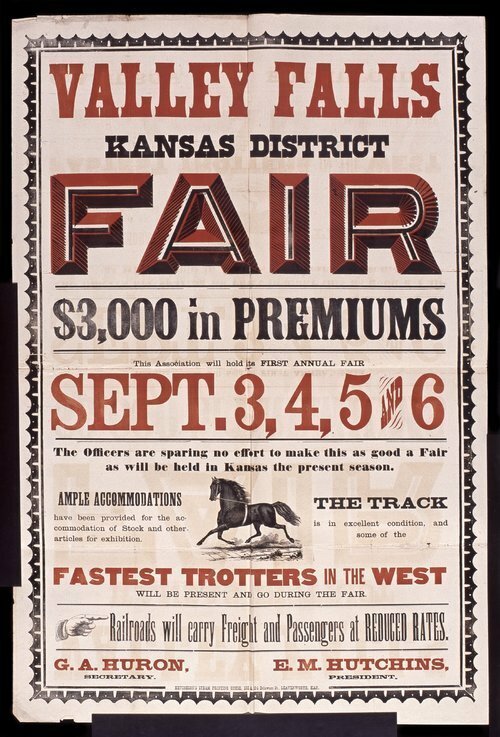 This poster announces a fair at Valley Falls, Kansas. Highlights of the fair include $3,000 in premiums, a half-mile track, and reduced railroad rates. The poster includes an illustration of a trotting horse.